A special thank you goes out to both my parents & Jon's for making our dream day a reality. 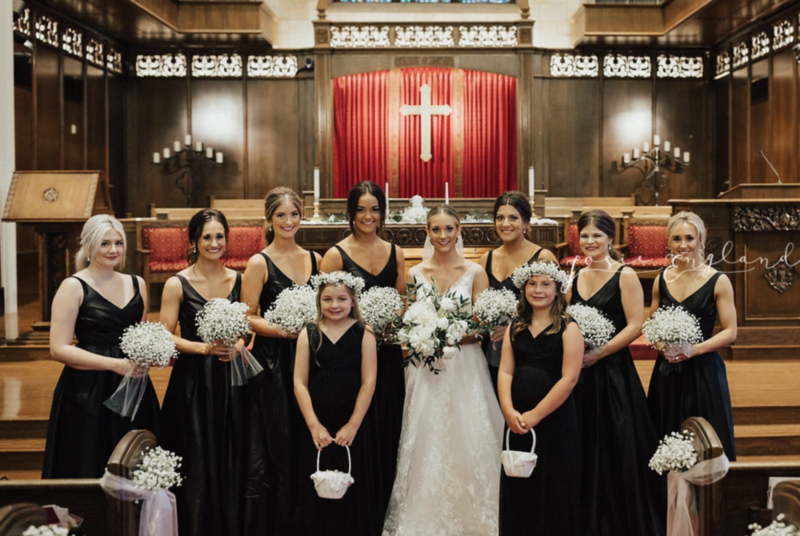 I feel so grateful to have been surrounded by everyone who holds a special place in my heart while I exchanged vows with the other half of my soul! I truly feel as though everything came together seamlessly- I wouldn't change a thing. 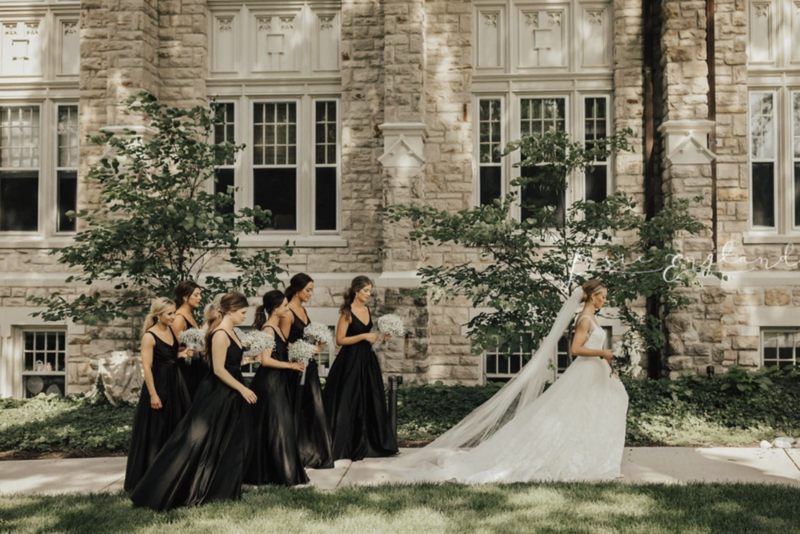 Our vendors were SPECTACULAR and I would absolutely recommend them to anyone planning a wedding. They all went above and beyond to make the day personal and fit the vision we had in mind. Our makeup was beautifully done by Posh KC. The girls were so sweet and truly worked with each individual's features, complexions and face shapes to make them look their best. We went for a "natural glam". All of our hair was done by my hairstylist, Kitson Curl. The bridesmaids each had a middle part pony, my favorite hairstyle! Middle parts are so flattering, chic and timeless and I wanted the girls hair off their shoulders. Call me crazy, but I think collarbones are a girls most underrated feature and I wanted them to show theirs off! 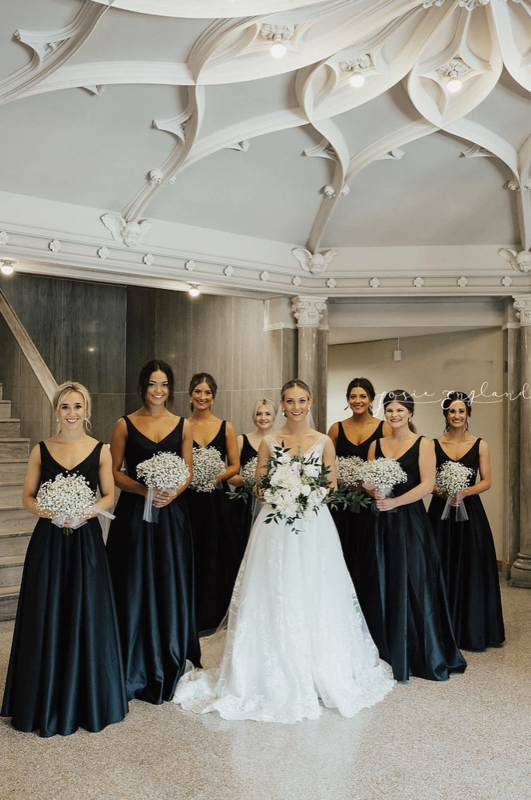 I wish I could tell you Kitson does weddings regularly because she's spectacular, but she isn't currently taking new clients! Should she have openings I'll let you know! Kitson has done my hair since I was 4, so it was such a special moment to have her do my wedding. We both cried! 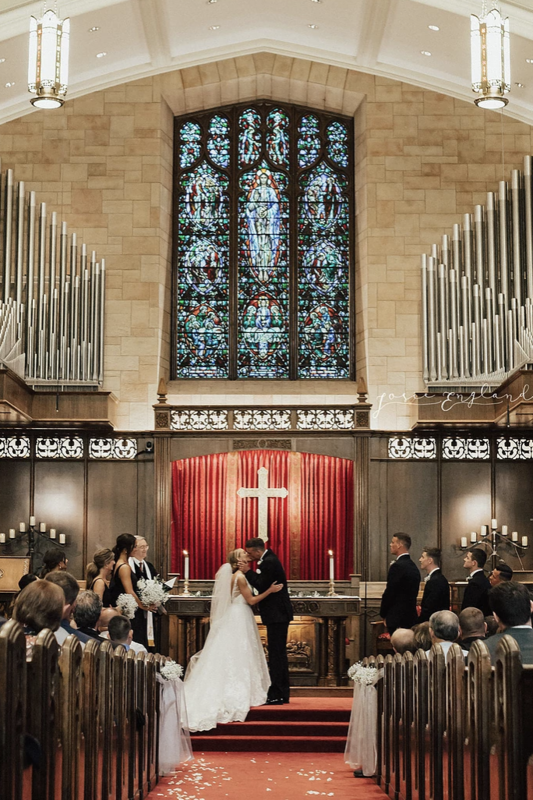 We chose Country Club Christian Church for our ceremony, not only because of the beauty of the church, but also for the wonderful staff who worked so hard to make everything meaningful and run smoothly. 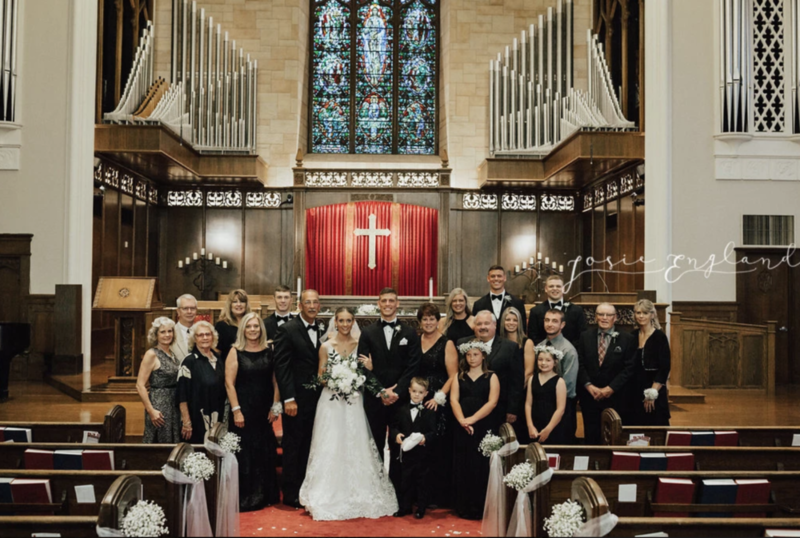 Reverend Joe Walker was a huge blessing to our wedding day! Our reception was held at 28 Event Space. 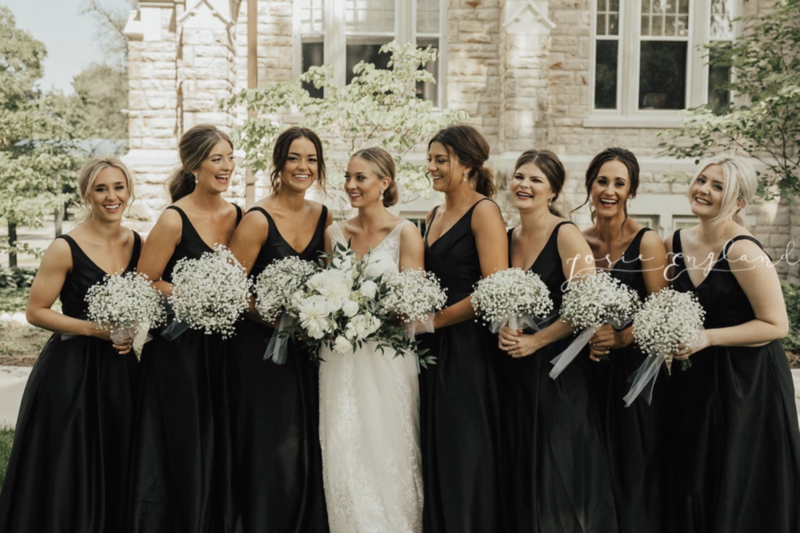 We wanted a formal ceremony and a laid back reception and these two venues were perfect for that! Jon and I are huge Kansas City people and part of what drew us to 28 Event Space were the wall murals of monumental and meaningful spots around KC! 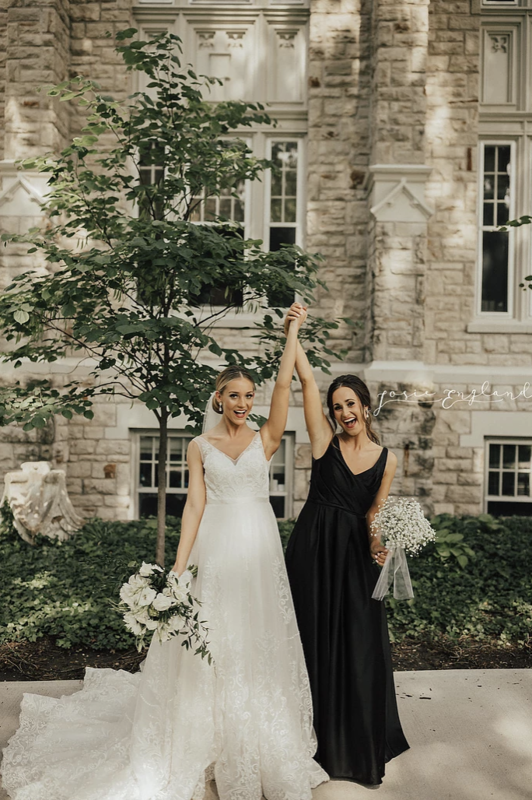 I got my dress from Something White Bridal Boutique & I would TRULY recommend this place to every bride-to-be! My appointment felt so personal and she caught onto my vision within minutes. I never felt pushed to try on something that wasn't my style and she always listened to what I was saying. The gals that work there felt like my friends immediately, they're such sweet souls!!! My alterationist, Janay A, was a dream. She worked magic on my dress to make it fit every single curve of my body. Plus, a ballgown is hard to work with and she made it look easy! This one may come as a surprise, but for catering, floral and our donut wall, we used Price Chopper! I had no idea, but Price Chopper has an entire building and staff solely dedicated to weddings. I was nothing but pleased with them & it made me feel good knowing all of this was coming from one place. By consolidating some of our vendors, it made everything much easier. Every meeting we could talk about food, decor, flowers and dessert all at one time! PLUS, if you book it all with them, they take off 10%, which is essentially the tax! 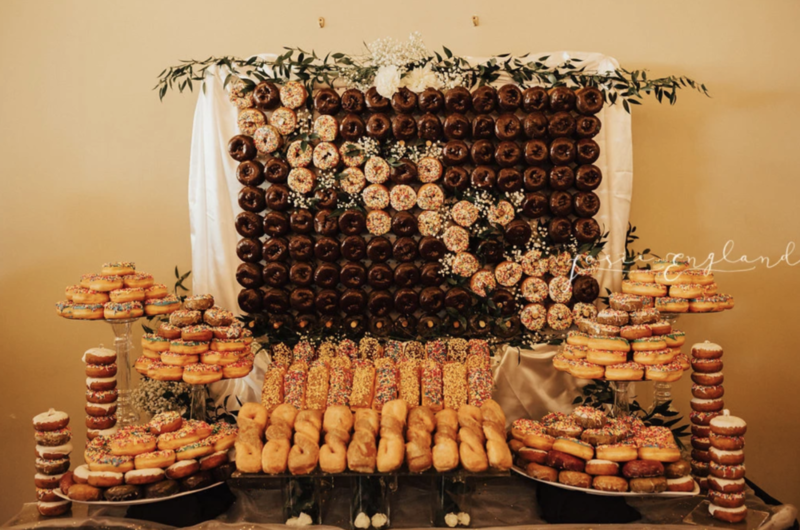 Here's our donut wall that spells "Vance", the buffet set up and some close ups of the bouquets and boutonnieres. 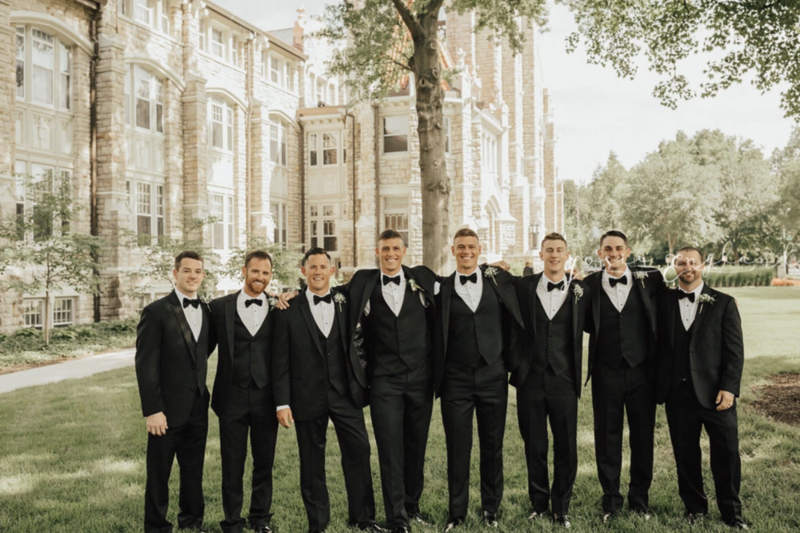 Our tuxedos were from Men's Wearhouse and they all fit the boys wonderfully! 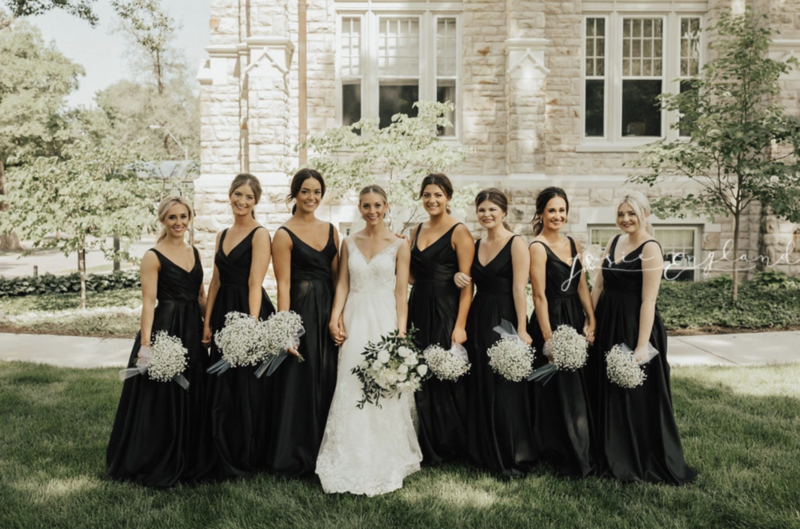 Because of how spread out in location the girls were, we went with David's Bridal for the bridesmaids dresses- I was scared to order online! I picked a silhouette that was timeless and worked with different body types! 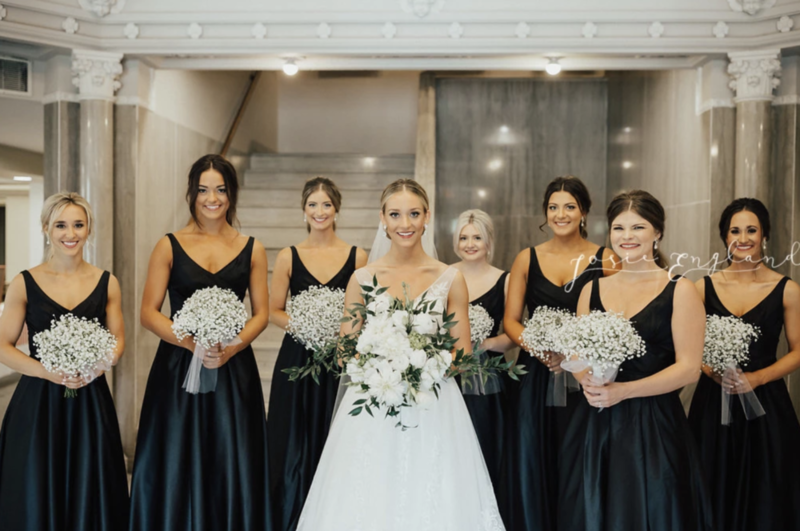 I'm very much one for singularity when it comes to bridesmaids dress styles. I saved this one for last because WOWOWOWOW I don't even know how to describe this gal. Josie England did both our engagement pictures and wedding pictures and both are more than we could ever have asked for. During our engagement session, she opened up her home to us to come stay and make some picture magic down in Oklahoma. How sweet is that???? 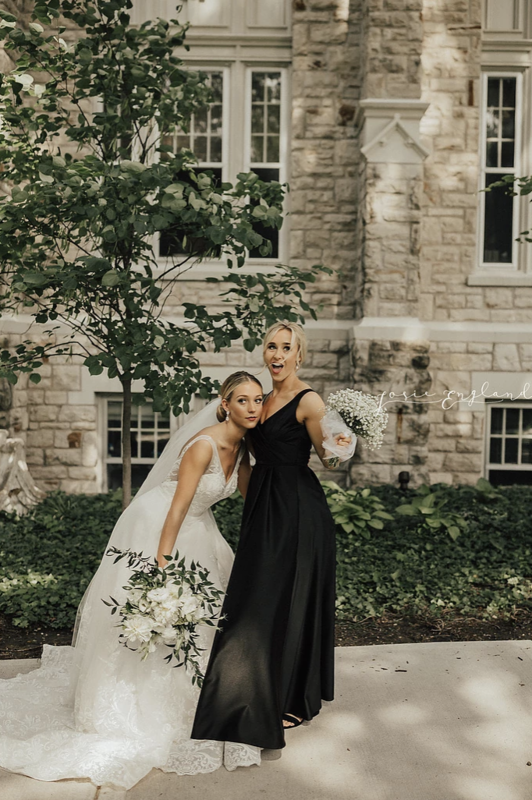 At our wedding, she captured the perfect amount of planned and unplanned moments. 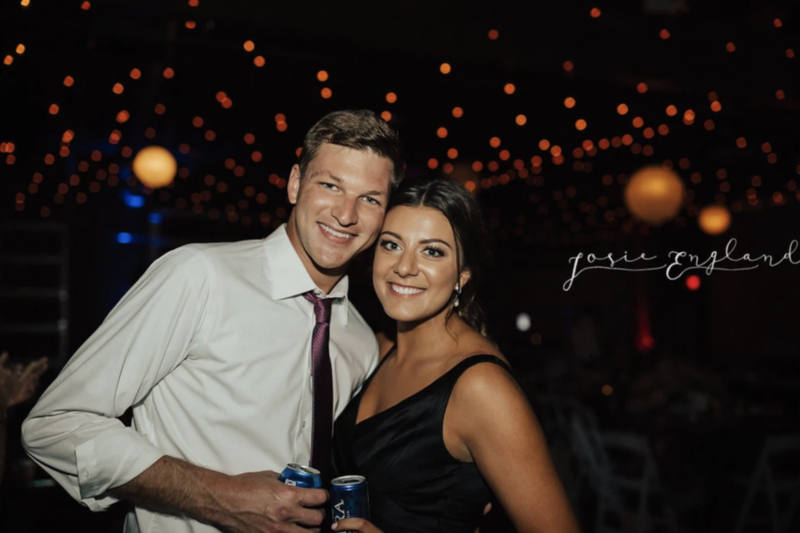 I remember the day after the wedding thinking, " I hope Josie got a picture of this moment and than moment" and she got EVERY. SINGLE. ONE. There are not even worlds to describe the work she does. You need her for your wedding!!! Here's some of my favorite moments she captured! For a girl who doesn't have any siblings, this friendship means everything to me. Kenz, we've been through every season of life together and I'm forever grateful for everything you did to make this day special! 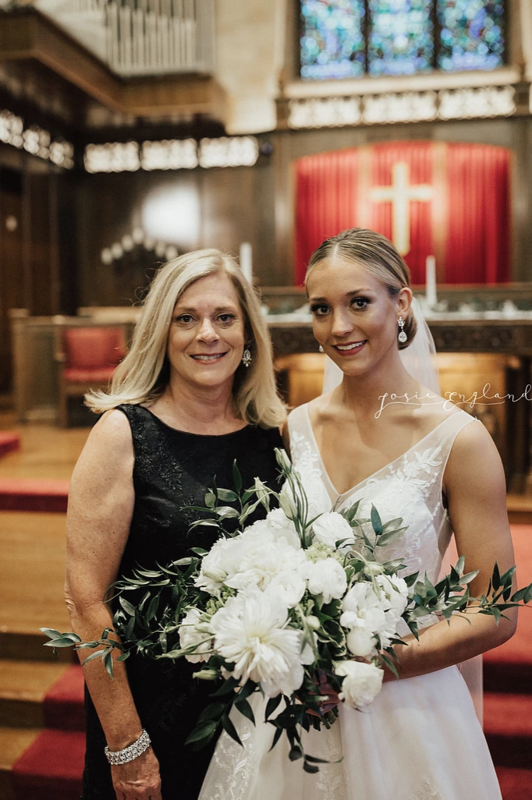 And to my Mama- I owe this whole wedding to you. You're the best wedding planner in the biz and the guiding light in my life. Words could simply not encompass the gratitude I feel for you. Love you the most! Once again, thank you to every individual that played a role, big or small, in making this special day everything it was!